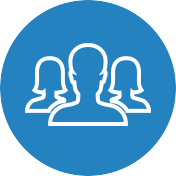 The shoulder joint is essential for the movement of the arm and the overall upper part of the body. 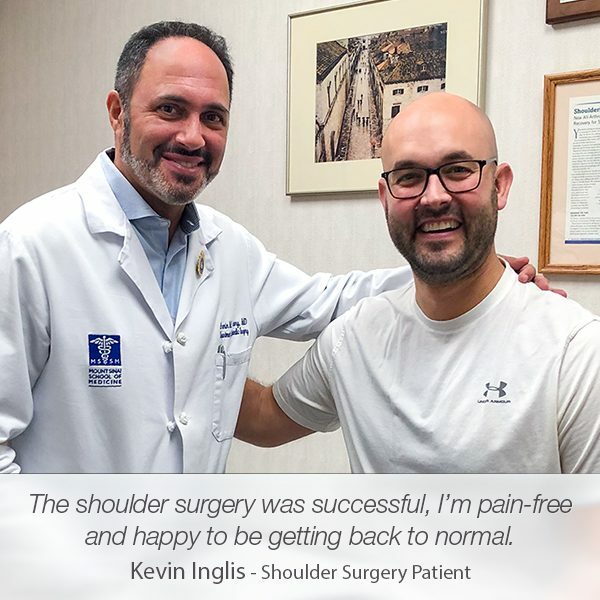 Due to its constant activity during the day-to-day activities, the shoulder bears an immense pressure on a regular basis, which makes the shoulder prone to severe shoulder injuries. Usually, as a result of the overuse, the rotator cuff, the group of muscles that allows to rotate and move the arm in different directions, wears out, and tears in the tendons occur. However, the rotator cuff tears can also occur as a result of a shoulder injury that caused trauma to the shoulder joint. Unfortunately, the rotator cuff tear usually leads to shoulder instability and to even more severe and painful conditions, such as the biceps tendons tear or shoulder dislocation. 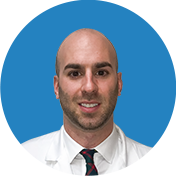 Peter Arniotes visited Manhattan Orthopedic Care because of the long-felt pain and discomfort in his shoulder. After he had injured both his shoulder, Peter had lived with agonizing pain for nearly 12 years. 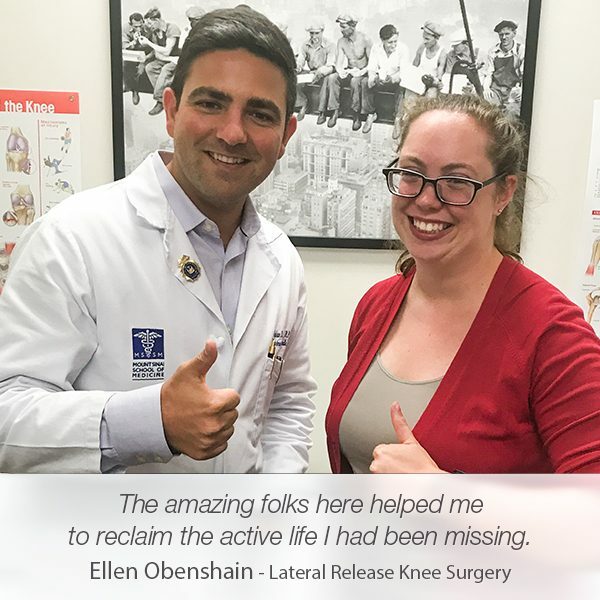 It was right after he met Dr. Armin Tehrany when a pain-free life was introduced to him once again. 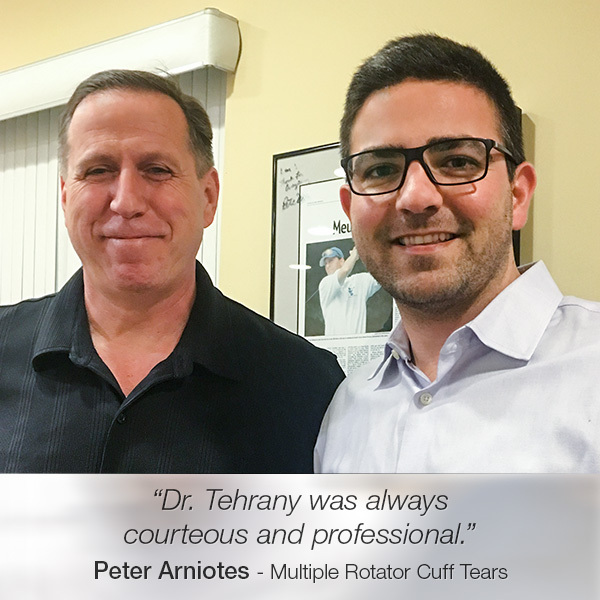 During the appointment, Dr. Tehrany performed a detailed and careful examination of Peter’s shoulders. He also performed a thorough MRI analysis that revealed an additional injury, detached biceps that caused unbearable discomfort in Peter’s shoulders. 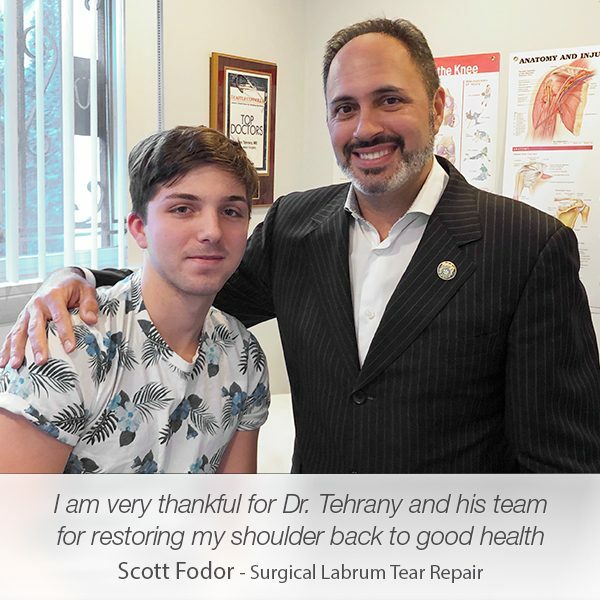 Led by his caring personality, outstanding professionalism, and excellent bedside manners, Dr. Tehrany provided the superb orthopedic care that Peter needed to enjoy his daily activities and sports games once again. 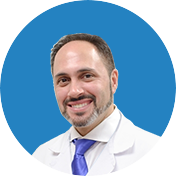 The entire team at Manhattan Orthopedic Care devotedly helped Peter to experience a smooth surgical process and ensured he felt at ease and comfortable during his recovery period. 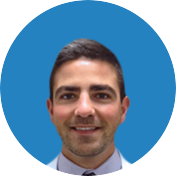 Thrilled to enjoy a pain-free life shortly after the rotator cuff surgeries and the biceps tenodesis, Peter left an honest review sharing his positive experience with Dr. Tehrany and his team at Manhattan Orthopedic Care. 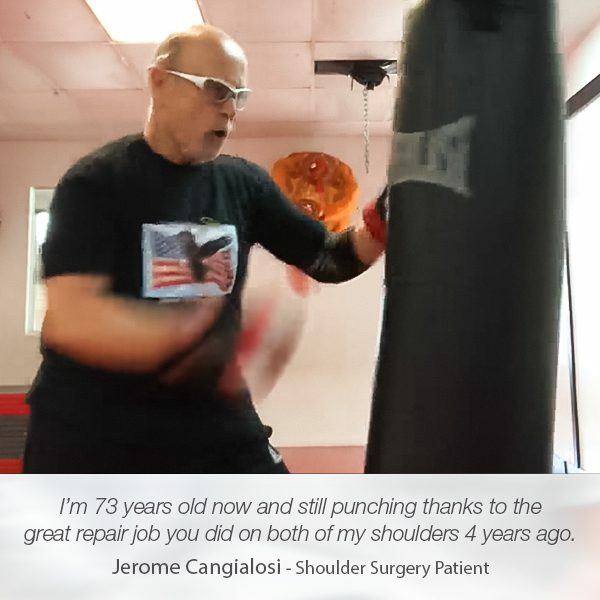 “Over 12 years ago, I injured both my shoulders and basically learned to live and deal with pain and discomfort. I met with Dr. Tehrany, and thus began a new pain-free chapter in my life. After an MRI, Dr. Tehrany informed me that I had massive tears to both rotator cuffs, and detached biceps. He, along with Stephan, performed the first surgery in March 2015, and the second in September 2015. Thank you, Peter, your exuberant praise and genuine happiness are the greatest rewards an orthopedic doctor can receive.